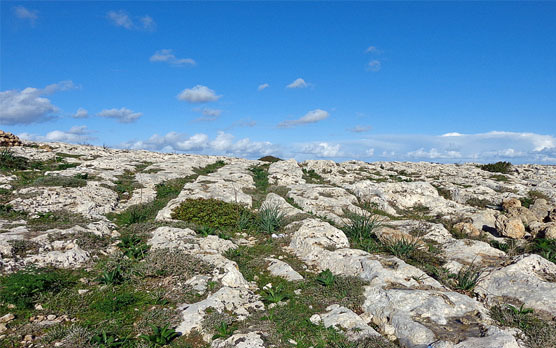 Most visitors to Malta will have read about the so called cart ruts which can be found all over the island but many will find them difficult to locate, unless they stumble upon a pair or two on rocky outcrops in the countryside. The cart ruts are sets of two parallel tracks gouged in the tough upper coralline limestone – usually around 150 centimeters apart and up to 60 centimeters deep and can run for just a few meters but sometimes for much longer than that. Some run weirdly over the edges of cliffs and some just disappear or simply peter out. Most archaeologists seem to agree that the ruts date to around 2000BC and were created by Bronze Age settlers from nearby Sicily, some time after the Neolithic Temple culture died out. Most ruts occur in the vicinity of ancient stone quarries. Speculation as to their use varies, with some believing that sledges transporting goods over time eroded the rock and thus created the tracks while another theory states that they were made by wheeled carts eroding the limestone. Same difference really. However, up to this day there is no conclusive explanation as to their use and they remain one of Malta’s most curious archaeological puzzles. One place where the cart ruts can definitely be made out and not be confused with anything else is Clapham Junction, a rocky outcrop just to the south of Buskett Gardens. Clapham Junction was the nickname given by British archaeologists investigating the site, most probably due to the profusion of the ruts here resembling the criss-crossing railway lines at this busy London station. The name has stuck and the signposts from Buskett use this improbable name to this date. It’s a huge site and one cannot help wonder about the purpose of the ruts – here running riot into and over each other. A number of Punic tombs are also present on the rocky plateau as well as remnants of ancient quarries. More difficult to locate within the same site but definitely worth a look is Ghar il-Kbir - literally The Big Cave (the Maltese are not very creative with their monikers…). Ghar il-Kbir is one of Malta’s most noted troglodyte settlement sites with people recorded inhabiting the caves from as far back as the fifteenth century right up to 1835, when the last inhabitants were forcibly evicted by the British for sanitary purposes. 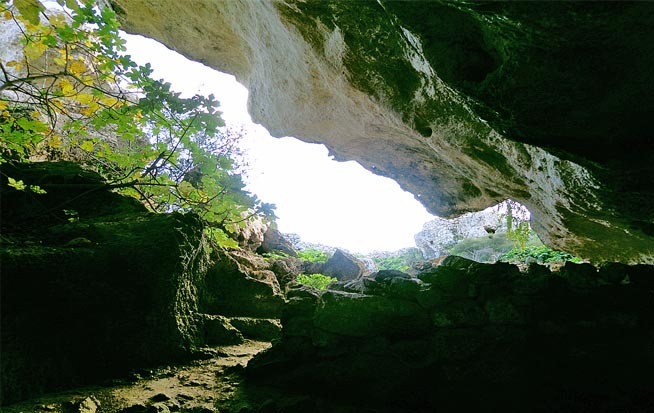 It’s a collection of natural and rock cut interconnecting caves placed around what is best described as a sunken central “courtyard”. It’s quite a pleasant site too, with the spacious caves retaining warmth in winter while being pleasantly cool in the summer months. The whole Clapham Junction area is also an important garigue habitat with a generous diversity of plant life which reaches its peak in the spring. 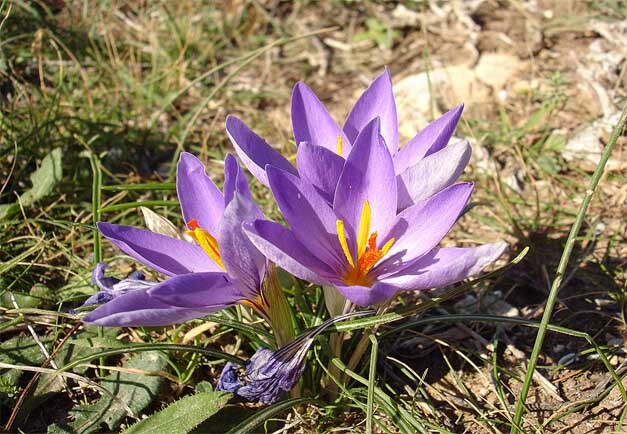 Species to look for are the beautiful wild crocuses in the winter months and a variety of orchids in the spring – not least the Maltese Pyramidal and Spider orchids, both species endemic to the Maltese Islands.